With the condenser unit on the outside of the building a remote multideck can bring a number of benefits to your business. The noise and heat of the refrigerated unit will be made outside, away from your customers and the additional space within the cabinet can be taken up with produce and not the refrigeration equipment. 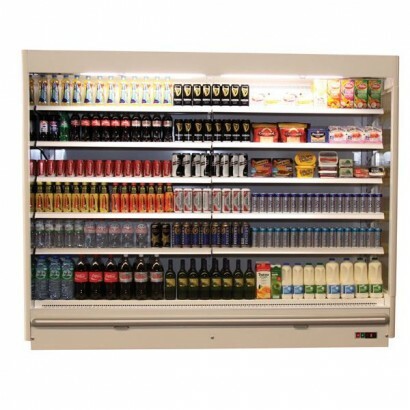 Ideal for a range of convenience retail products including dairy, deli and alcohol these units are designed for the rigours of high volume retail with strong, wide shelving to withstand the weight cans and bottles. 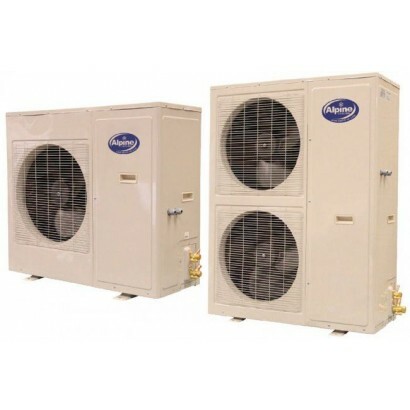 Condenser units with Copeland scroll compressors fitted with noise reducing compressor jacket. Avail..
Offering fantastic value for money the Trojan remote multideck has all the features you need for suc..
A TOP quality remote refrigeration open deck chiller with a host of features to ensure not only a gr..
A TOP quality 1.3m open deck display fridge fully installed with remote refrigeration leaving the he.. 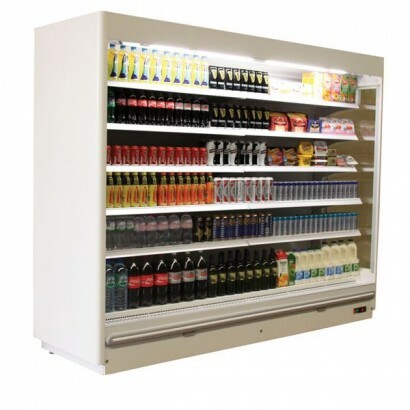 Slim line 1.6m wide multideck with remote refrigeration. Ideal for wine beer or convenience food the.. 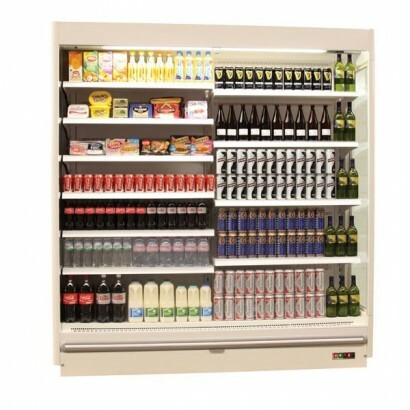 Suitable for dairy, beers, wines & spirits, chilled drinks and sandwiches these Alpine Prague re.. Ideal for convenience retail or off sales, this 1.6m 780mm deep cabinet has a range of features that..
Other Sizes and Styles Prague 88 1300 1.3m | Prague 88 1600 1.6m | Prague 88 1900 1.9m | Prague 8.. 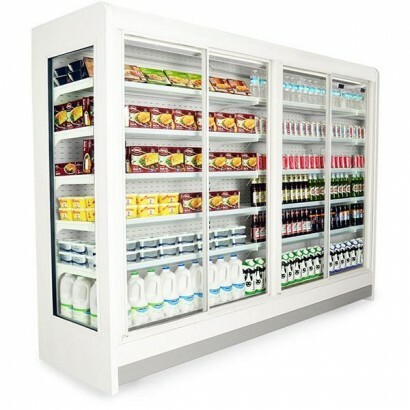 Product Information External Dimensions: H 2250 x W 1300 x D 780mm Temperature Range: -1°C/+..
A 1.9m remote refrigeration multideck ideal for the retail of wine, beer or convenience foods. The u.. 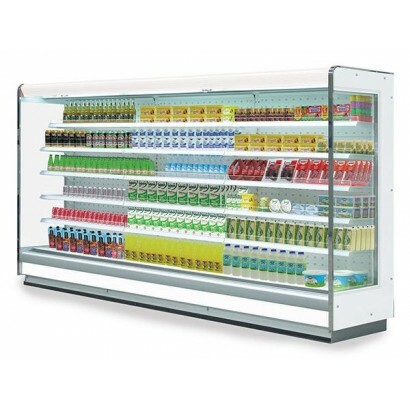 Perfect for convenience stores this remote multideck is 1.6m long and is designed for high volume pr..
A 1.9m open deck display ideal for the retail of wine, beer and chilled convenience foods. 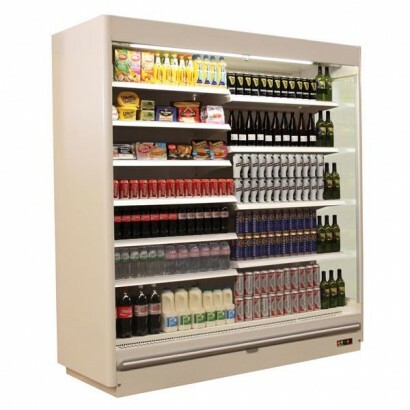 The unit ..
A slim line 2.1m remote chiller with only a 680mm cabinet depth. The cabinet comes with five heavy d..
Other Sizes and Styles Prague 88 Tall 1300 1.3m | Prague 88 Tall 1600 1.6m | Prague 88 Tall 1900 .. Product Information External Dimensions: H 2250 x W 1600 x D 780mm Temperature Range: -1°C/+..